With crisp weather, fallen leaves and darker days ahead of us, a colourful getaway this autumn season can be the perfect remedy to inspire, uplift and rejuvenate even the weariest traveller. Now marks the time for scenic walks and drives through urban parks or rural towns for a peaceful experience in nature. From spectacular fall foliage to lively fall festivals, these 10 cities across Asia, Europe and North America are the most vibrant from September to November. For instance, fall leaf lovers can enjoy dramatic landscapes blanketed in warm colours like deep crimson, golden yellow, olive green and burnt orange, as the sun sets in the horizon. Then there's Autumn's abundance of festivals with their dazzling lights and illuminated cities that transform dull urban lands into energetic public spaces. Food and wine festivals celebrate the traditional harvest season. 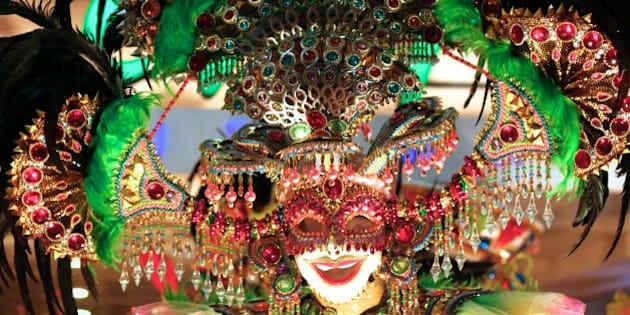 Live music, street parties and vivid costumes bring together revellers from around the world. So take advantage of shoulder-season deals, cooler weather and less crowds without sacrificing a rich, colourful experience with these 10 colourful destinations.